What would you do if you decided to help out what appears to be a promising crowdfunding project only to learn that the entire campaign is a scam? Sound unlikely, think again. Earlier this month, Gary Mortimer, of sUAS News, wrote an article that warns people about Robert Morrison and specifically the Axis Drone IndieGoGo campaign scam. Gary makes it clear that while you could chose to wait for the IndieGoGo campaign to fund the project, you can always just buy a version that is already built and ready to fly through Ebay. 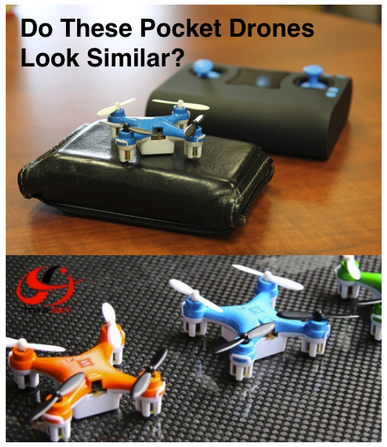 The Wallet Drone is designed to be so small and lightweight that you can simply place it in your pocket, purse, backpack (anywhere a wallet would fit), making it ideal for everyday fun and practice! To make matters worse, the Axis Drone project is not his only offense. Robert Morrison has multiple IndieGoGo campaigns designed to sell products with “questionable progeny and transparency.” There is an interesting thread at Reddit titled “SCAM. No need to create your own products anymore. Just re-label and tell people you made it like the Wallet Drone” that details a lot of Robert Morrison’s IndieGoGo activities. Found out after contributing to the Wallet Drone campaign that it is a scam. This person is importing an already made Chinese product and rebadging and reselling to people on Indiegogo. Under Indiegogo rules, we’re stuck and cannot back out once we pledge our money. Now over 1000 people and I are stuck giving him money. Whenever someone asked about proof and posted links he deletes them immediately. Back to campaign creator Robert Morrison and his Axis Drone project. It appears he is pretty experienced with using Indiegogo to sell projects with questionable progeny and transparency. The Reddit thread lists multiple campaigns and associated similar products on Amazon and Alibaba. Recently we have had discussions with several people about a problematic issue with rewards based crowdfunding. Some campaign creators may be finding products on Alibaba, repackaging them and launching crowdfunding campaigns posing as new creations. Is this illegal? Probably not. Is it wrong. Yes – definitely. This is an area that all backers and platforms need to take a closer look at. For tech campaigns we try to search Alibaba first to verify creators are really creating instead of just shipping. To highlight this issue, there is an interesting thread on Reddit under /shittykickstarters that was brought to our attention. The poster alleges that Wallet Drone – Worlds Smallest Quadcopter is a complete repackage of an existing drone. The Redditer does a convincing job in proving the allegations too, with plenty of links and copies of comments that have been deleted by the project creator – a pretty damning sign that you have something to hide. The moral of this story is, before you invest your hard earned dollars into a crowdfunding campaign, make sure you check your facts. If you don’t, you might just be scammed. 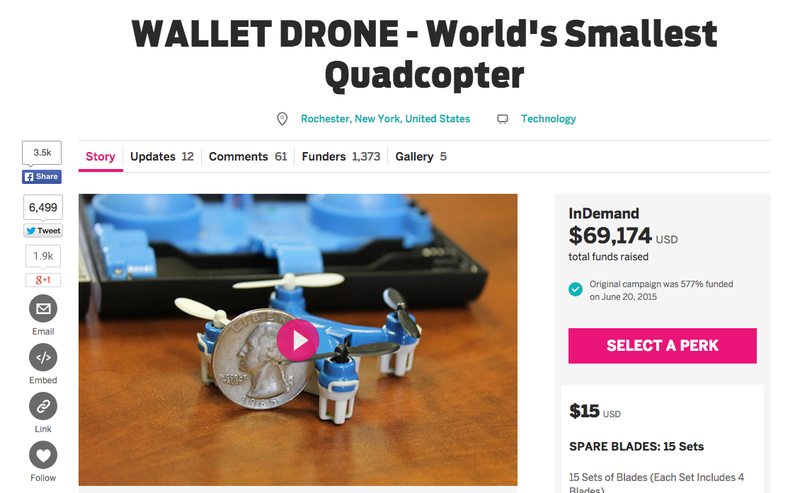 Update: Robert Morrison successfully raised $69,174 for his fake drone campaign. Unbelievable. Update: If you have questions for Axis Drones, reach out to fly@axisdrones.com.